No Cable or DSL Where You Live. Now You Can Have High Speed Internet Almost Anywhere. 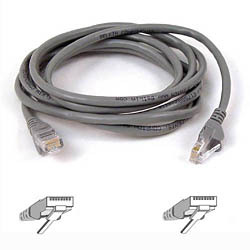 The adapter's single RJ-45 connector senses the network speed and automatically adjusts itself to the connected network type. Plug and Play Installation, a PCI v.2 1 local bus-compliant adapter, the DFE-530TX features plug and play installation. It's cheaper than the cable company. This cutting-edge combination of router and switch technology eliminates the need to buy an additional hub or switch and serves your network as a completely dedicated, full duplex backbone. Now your entire network will enjoy blazing Broadband Internet connections supported by its robust switched backbone. With the dual-function speed and power of the EtherFast Cable/DSL Router, your network will take off at speeds faster than you ever imagined possible. Use this Router if you do not have a hub or switch on you computer. Item: no. linkr41 3 lb. Item: no. linkr11s4 3 lb. Item: no. mdpt101 1 lb. Item: no. musr101 1 lb. Welcome to Tech Helper, your personalized guide to understanding how to set up and use your EtherFast Cable/DSL Router from Linksys.